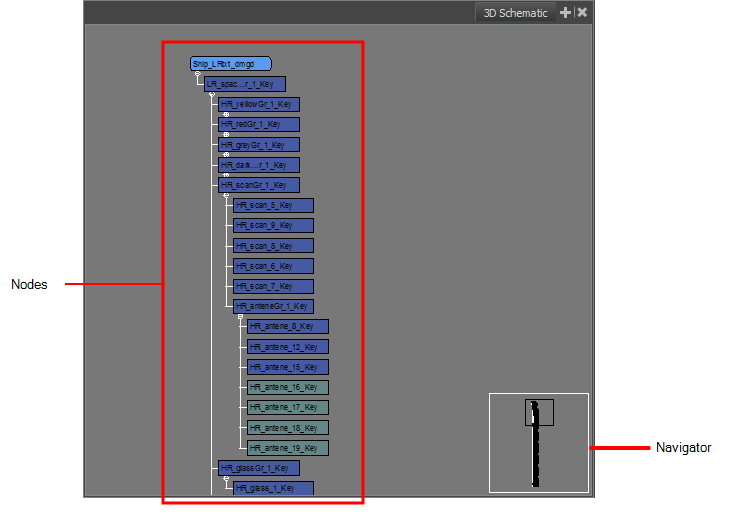 The 3D Schematic view lets you view the nodes and sub-nodes that make up your 3D object. Using the navigator helps you pan the visible area to move quickly through around a complex set of nodes. For tasks related to this view, see About 3D Objects. ‣ In a view area, click the Add View button and select 3D Schematic. ‣ Select Windows > 3D Schematic.